With that of the poor economic slump down felt around the world and mainly in United States, the General Motors, a famous automaker has announced that it will drop Pontiac by the end of 2010, a famous automobile brand produced and sold by GM and in turn it has planned to phase out and concentrate on its 4 remaining brands such as Buick, Cadillac, GMC and Chevrolet. In order to reduce its large number of debts, GM has planned to offer some of its stocks to its debt holders and it prefers not to file for a chapter 11 bankruptcies. GM intended to resolve the demise of Saturn this year, which is sooner than expected. 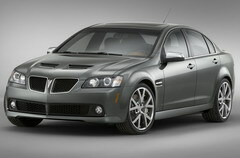 In addition to that of cutting down Pontiac, GM desires to cut down its dealer count in U.S nearly 42% by the year 2010. Pontiac is very famous for its affordable performance and it is considered as the third largest brand that trails Chevrolet and ford. Pontiac offered its enthusiasts with a great driving experience and so it was loved by many of enthusiasts around the world. GM has decided to demise the production of Pontiac mainly because in recent years, Pontiac sales reduced to a great extent which made GM face a huge loss. Saturn could live if, it is taken by another company or it would also be shutdown by GM. GM has entered seriously into its cost-cutting plan and it even slashed the number of headcounts from 61,000 to 40,000 which will soon be reduced to 38,000 in the year 2011.